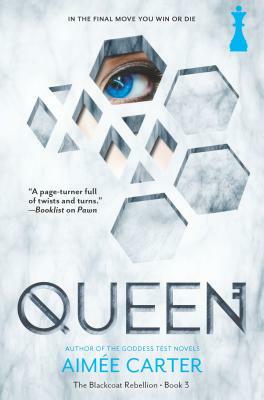 PAWN...CAPTIVE...QUEEN? Kitty Doe is a Blackcoat rebel and a former captive with a deadly connection to the most powerful and dangerous man in the country, Prime Minister Daxton Hart. Forced to masquerade as Daxton's niece, Lila Hart, Kitty has helped the Blackcoats take back the prison known as Elsewhere. But Daxton has no intention of ceding his position of privilege--or letting Kitty expose his own masquerade. Not in these United States, where each person's rank means the difference between luxury and poverty, freedom and fear...and ultimately, between life and death. To defeat the corrupt government, Kitty must expose Daxton's secret. Securing evidence will put others in jeopardy, including the boy she's loved forever and an ally she barely trusts. For months, Kitty's survival has hinged on playing a part. Now she must discover who she truly wants to be, and whether the new world she and the rebels are striving to create has a place in it for her after all.